I think that 'October Daphne' isn't a specific type but rather is a common name for this species. The plant shown here is a smaller leaved form that grows a little bit denser. 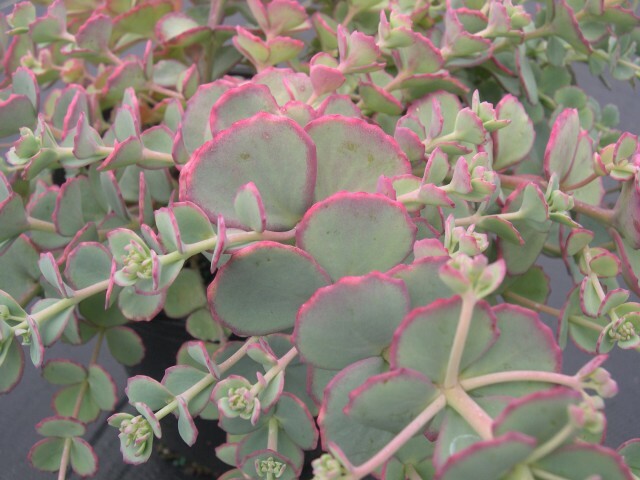 Gray green leaves with red outline when grown in full sun. Showy bright pink flowers from August to October. Grows 4 inches tall, spreading to 12 inches. Deciduous.